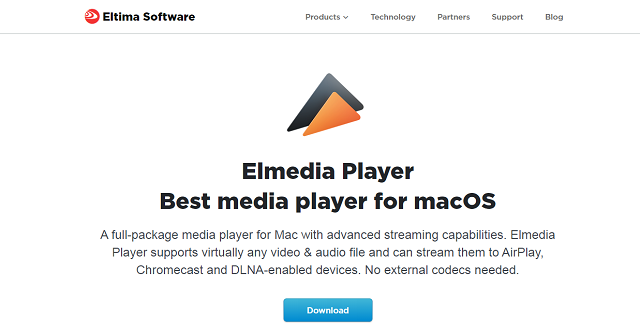 Elmedia Player Review: Is It The Best Media Player for macOS? Eltima Software has never ceased to impress with nothing but the ultimate software and essentials for all Mac users. Since Mac users face fewer privileges than Windows users do, it’s a given that optimal solutions to necessities such as Package Managers, Video Downloaders, VPN Managers, Torrent clients & Download Managers are much required to keep up with the ever-paced new trends of this millennium. Today, we will be reviewing their Elmedia Player. Eltima Software has developed a robust and universal video player that works with multiple formats. For your everyday video editing to your creative project editing, you can rely on Elmedia Player on your Macs. You name the format and there lie operability and functionality in the Elmedia Player. For instance, FLV, MP4, AVI, MOV, DAT, MKV, MP3, FLAC, M4V and the most important formats are supported. Some quality features you can expect with guarantee are listed. Elmedia Video Player focuses on frame optimization and quality-per-window that expresses pixels in pictorial motion, which makes playing media not only a visual treat but a magnificent all-around experience. It staunchly supports native macOS full-screen mode which appeals to many Mac users’ taste in video players. While you can manage, create, and add bookmarks to your videos, it does support docking and floats over other applications in the running. 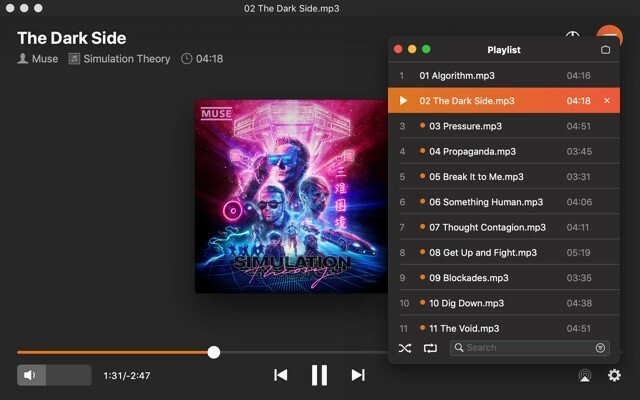 Along with the expected features from a video player, you, in addition, get the feature to loop any part of the audio/video media recursively. Say goodbye to glitchy playback speeds with loaded and customizable playback speeds that are indeed glitch-free and easily manipulable. You can directly plug into your laptops for your evergreen and grandiose playlists instead of working both with your phones and laptops. With flexible multiple audio track playability and preferred audio language selection, it is a powerhouse that will surely amplify & multiply the feeling in your ears! 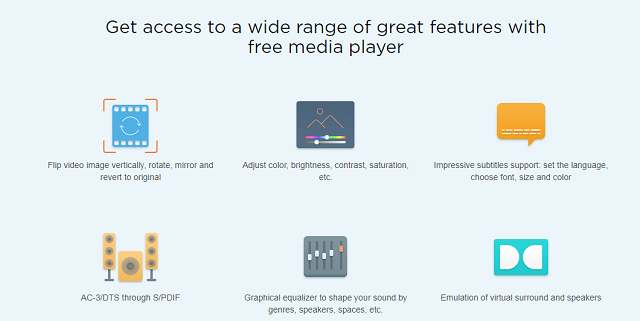 More astounding features include native volume control and an option to stack up external soundtracks or audio clips all with video name, same name as video or all in the directory. 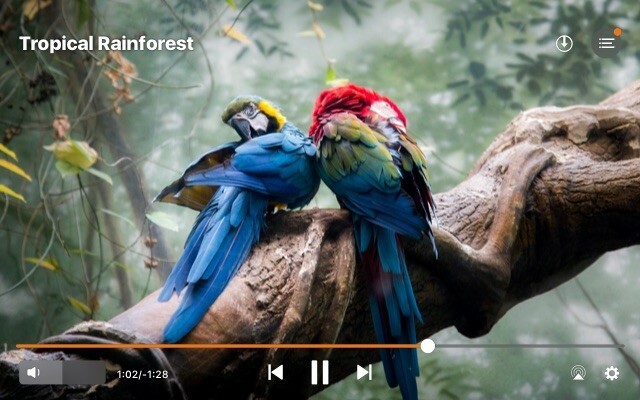 Elmedia Player is built-in with the basic manage, edit, search through, and create choices for designing your ample playlists. Chromecast, AirPlay, and DLNA as we speak, are taking over regular television through an easy portrayal of our handhelds to enormous screens. And of course, Elmedia Player features casting from your Mac device to your screens with no rebukes like version mismatches and glitches ofttimes found in basic video players. Stream your media files in a jiffy, with no hullabaloo, with a single click on your app’s screen. Moreover, this application can also receive streams from other Mac computers, iTunes, and AirPlay devices. Yes, you can connect to larger sound output speakers with no fuss and revamp your home theater, if you may call it one! 4. File Formats? Not your concern! You can stream your media files with no efforts since Elmedia Player has that covered! In case you are streaming a file belonging to a rare format or a usually undetectable/unplayable one on other media players, Elmedia Player stands out here due to its on-the-fly transcoding of the file of your selection to the format of Chromecast’s liking. 5. Sayonara, Advertisements and Interruptions! With the effective ‘Open Online Video’ option working like a charm, you can play any video from YouTube, Dailymotion, or Vimeo with zero interruptions and annoying ads that always pauses us during a cliffhanger! Often on big screens, you might not be able to play your .srt and other subtitle formats due to various issues. Elmedia Player stands out again in this case for streaming through your Mac with embedded subtitles and external subtitle files displayed flawlessly. No more brawling with your siblings for remotes to watch what you want. From now onward, you will use Macs! Play, pause, go back, and more remote features with a single click which reciprocates as quickly as you lose control of your remotes to your family! High-quality videos or 4K streaming is supported and hence, you need not to compromise on the best of the best videos because Elmedia Player will take care. For our lackadaisical selves, we do not need to change a file each time because It allows you to cast the whole playlists from Mac to Smart TV. The Mac App Store Preview gives us an overview of the above features we empowered you with and also the pricing. You need to do a one-time payment of $9.99 to avail all of its top-notch video-playing bestowments. As seen, with amazing features like flipping video images, adjusting color and other visual settings, subtitle & audio support, graphic equalizers, speaker surround emulations, and more, you get the full-house and the best you can get from an open ware video player. Also, you can watch online videos and capture screenshots hassle-free of movies that are played. Live Video privilege helps you watch videos from popular sites like YouTube, Vimeo, etc. ad-free and with no interruptions. You can convert a whole video into a series of screenshot images. The intervals for the screenshots can be set quite quickly too. The Elmedia Player has a whopping 4.5 on the Mac App Store! The keywords in the reviews being ‘Multi-format video player,’ ‘Beautiful UI & UX,’ and ‘Fast,’ it is proof enough that it is worth the buy! For macOS, it is an outstanding Media Player in the current scenario. With lots of new video and media players on the rise, you can expect competition for Elmedia Player. Nonetheless, Eltima Software continues to improve and implement its latest features and technology into its products. In today’s time, where finding a good media player is a necessity more than a choice, Elmedia Player is an asset to possess with a plethora of unique features and its flexibility to adjust to our needs. And only for around 10 USD, it is a gamble to procure such an immense variety of video play. Tremendous features, reliable, and positive reviews make it a yes for being the Best Media Player for macOS! You can find more information here.